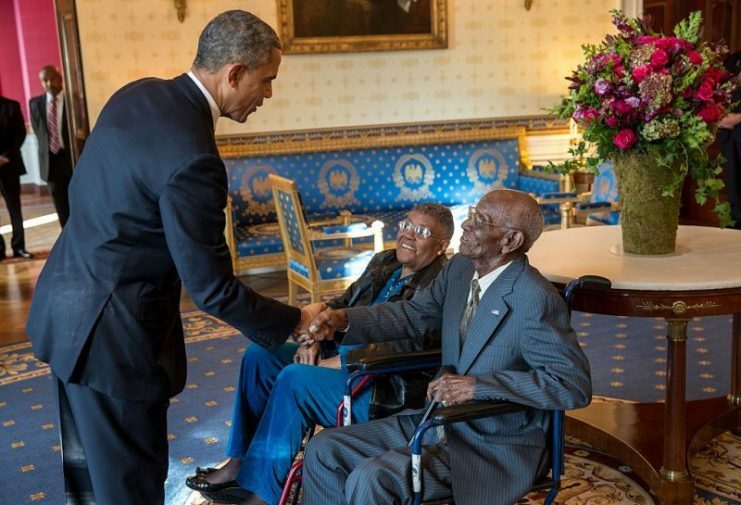 Richard Overton liked nothing more in life than to sit out on the porch of the house he built when he returned from action in World War II, and watch the world go by. He had become well known since becoming the USA’s oldest living WWII veteran on May 3, 2016 at the age of 109, a week before his 110th birthday. At 112, he carried his years lightly and had earned a reputation for kindness and good humor. He died in December 2018, after a brief final battle with pneumonia in the home he had lived in for more than seven decades. His recent birthdays gained national attention which prompted strangers to visit and pay their respects. Today, for the time being at least, you too can visit his home in Austin, Texas, on Google Street View and see an image of Overton, complete with American flag and banners proclaiming his pride at being a WWII veteran. Richard Arvin Overton was born in Bastrop County, Texas on May 11, 1906. He was told that his grandfather had been a slave and he grew up through the era of the Jim Crow laws. As the third oldest person in the world at the time, he had said that he could remember World War I, among other events of which few others could possibly have had memories. He enlisted into the US Army on September 3, 1940 and served in the South Pacific at Hawaii, Guam, Palau and Iwo Jima. He arrived at Pearl Harbor soon after the Japanese attack on the port. 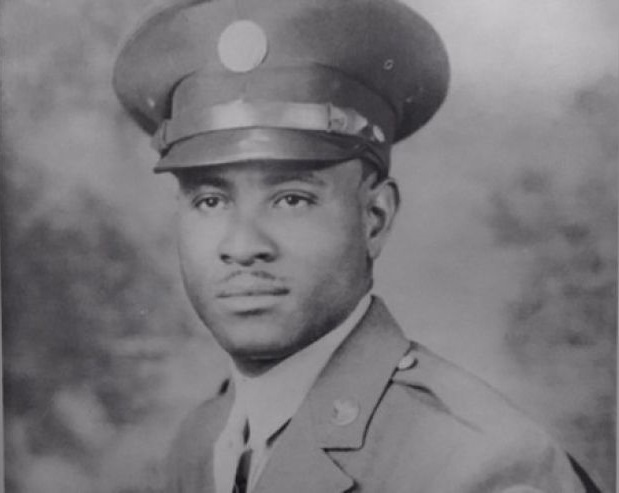 Overton served in the segregated 1887th Engineer Aviation Battalion from 1942 to 1945 and served on burial details, as base security, and as a driver for an officer for a time. He had said in interviews that while he enjoyed military life, the war itself was the one part he did not enjoy. 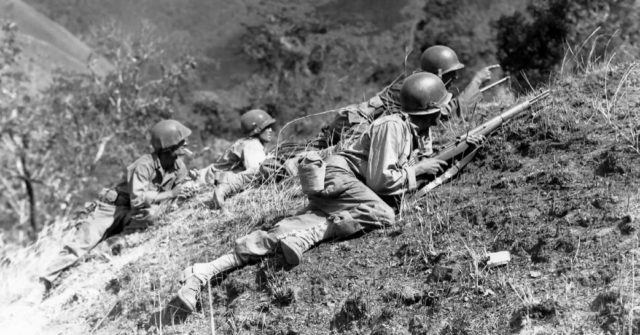 Richard Overton fought battles across the Pacific Ocean. He received several medals, including one for marksmanship and another for good conduct. In 1945 he left the Army as a Technician fifth grade. Overton married twice but had no children. Even so, he reckoned he had the biggest family in Austin, with cousins and well-wishers visiting regularly. On Veterans Day in 2013, Overton met US President Barack Obama at the Blue Room in the White House. During his address at a Veterans Day Memorial at Arlington National Cemetery, President Obama paid tribute to Overton’s service. 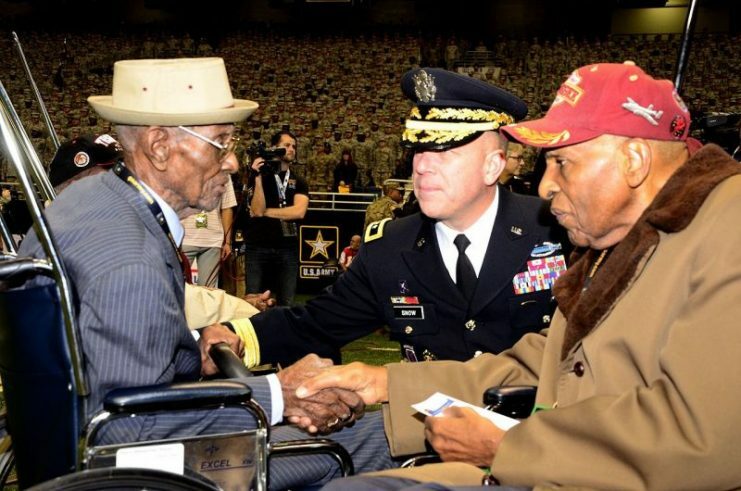 Richard Overton (left), America’s oldest veteran at 109 years old, greets Dr. Granville Coggs (right), a Tuskegee Airmen, and Maj. Gen. Jeffery Snow (center), commanding general of U.S. Army Recruiting Command, during the pre-game ceremonies of the 2016 U.S. Army All-American Bowl, Jan. 9. 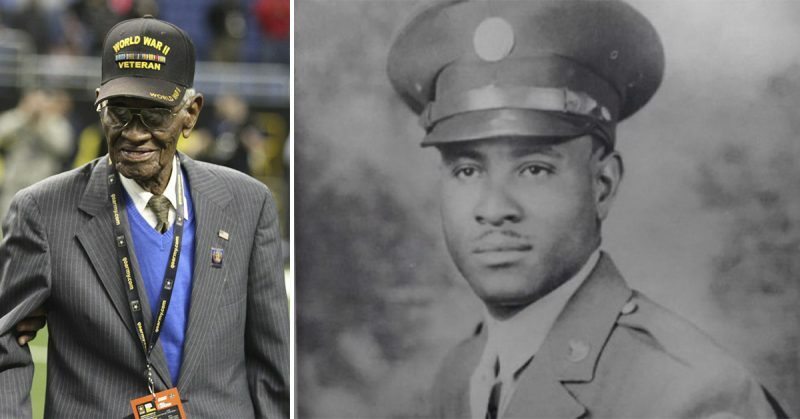 Along with his war medals, Overton had also been awarded a custom-made jersey by the San Antonio Spurs basketball team, and in May 2017 his community renamed the street he had lived on for more than seventy years, to Richard Overton Avenue. 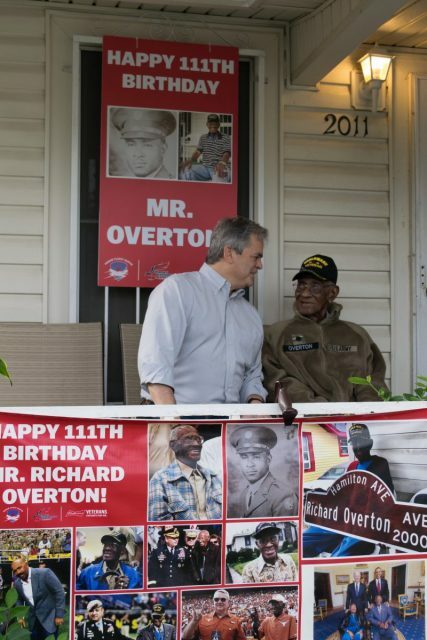 The Mayor of Austin also designated Overton’s birthday as Richard Overton Day in the city. 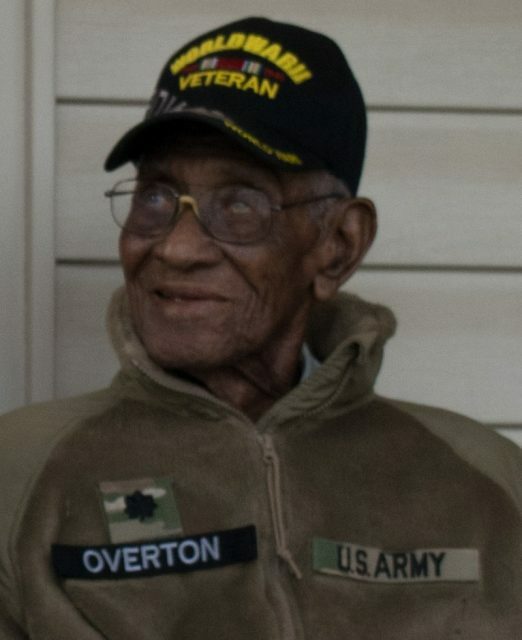 Richard Overton was buried on January 12, 2019 at the Shoreline Church in Austin, Texas at a public service.